A British parliamentarian is speaking out against sharia, saying the practices would make suffragettes “turn in their graves”. Baroness Caroline Cox has introduced a private member’s bill to protect Muslim women living in Britain from sharia decisions. “Here’s a lady we need to listen to,” says Alan Jones. Baroness Cox tells Alan she’s in favour of freedom of religion but some “aspects” of Islamic law are “utterly unacceptable”. “A man can divorce his wife just by saying, ‘I divorce you’ three times. She has no similar right. The House of Lords member says there’s also the issue of “so-called honour-based violence and abuse” which cannot be allowed. 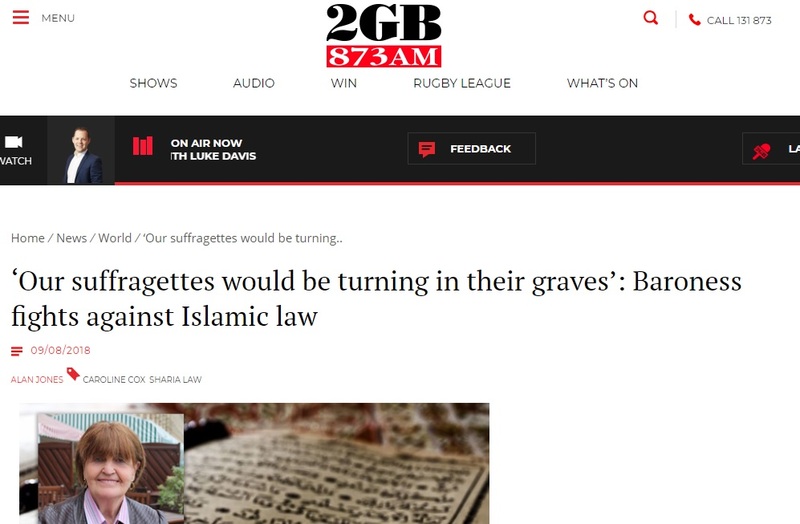 “Our suffragettes would be turning in their graves.